Software application developers will always be looking to create the next big thing (Twitter etc.) and come up with a killer app to forge their name in history. A recent BBC television documentary by Dr Chris and Dr Xand Van Tulleken investigated mental health and stress — currently linked here — and suggested that apps which promote mindfulness could help those of us who want to slow the world down… and perhaps even get off it altogether. Wikipedia defines mindfulness as the psychological process of bringing one’s attention to experiences occurring in the present moment, which one can develop through the practice of meditation and through other training. Mindfulness itself is thought to be derived from sati, a significant element of Buddhist traditions. The UK NHS pages on this subject note comments made by Professor Mark Williams, former director of the Oxford Mindfulness Centre, who says that mindfulness means knowing directly what is going on inside and outside ourselves, moment by moment. 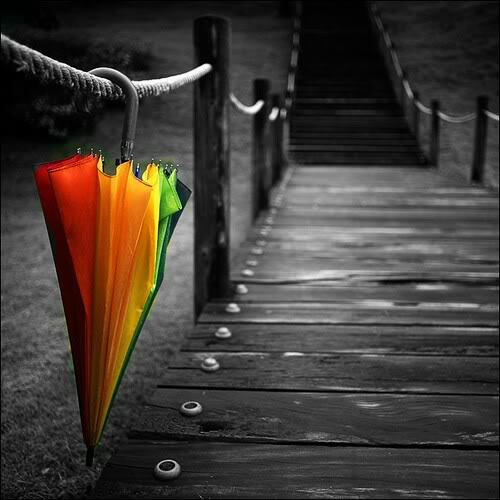 “It’s easy to stop noticing the world around us. It’s also easy to lose touch with the way our bodies are feeling and to end up living ‘in our heads’ – caught up in our thoughts without stopping to notice how those thoughts are driving our emotions and behaviour,” said Williams. Williams also notes that another important part of mindfulness is an awareness of our thoughts and feelings as they happen, moment to moment. So given this trend (albeit an ancient practice now presented as a trend), do we need an app (or perhaps even a device) to help us achieve mindfulness? We downloaded ‘The Mindfulness App – meditate’ from the Apple app store for iPad in the hope that it might do what it says on the tin. Despite its 4.6 out of 5 stars ***** rating, this is app is basically just a selection of intros to meditation speeches that appear to be almost entirely delivered by chilled out sounding probably 40-something American female ‘specialists’ who would all no doubt like you to buy their book. The full speeches (or monologues) are only available with a premium membership, so we didn’t bother. There is a neat timer function that allows you to start your mindfulness session and opt to listen to a looped soundtrack of the beach, forest, rain, stream, waves or nothing… and this is nice. Users can opt for the above with or without the breathy and seemingly deliberately monotone American lady telling you to ‘find your presence and notice the breath in your nostrils’ as needed. As an additional comment on this story (and something of an experiment), we tried the mindfulness techniques using a set of Jabra Evolve 80 headphones with Active Noise Cancellation (ANC) technology as reviewed here on Computer Weekly. Switching on noise cancellation appears to be a good thing. It cuts out the planes coming into Heathrow and allows the user to really focus on the relaxing sounds. In fact, simply turning them on with no sound is also a good idea as it helps to shut out the world and perhaps puts you one step closer to inner peace. … and, no, sorry developers, he didn’t need an app for that. In the age of the selfie (and the accursed self-stick), what more could the average smartphone-toting photo addict really need? How about an international language app to translate the word “cheese” into 200 langauges? No, it’s none of these. What we really want is something that makes our smartphones look, act and feel more like an actual camera. This appears to be much of the thinking behind Adonit Photogrip, a multiuse phone grip designed to transform a smartphone so it can be used just like a camera. 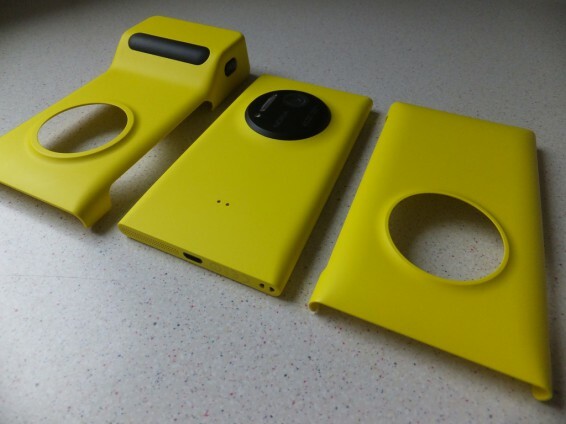 Nokia of course did something like this with the Nokia Lumia 1020 – image linked here – which did the phone a good surround, but was proprietary to that model alone and was expensive and heavy. Adonit has previously been known for its stylus manufacturing. 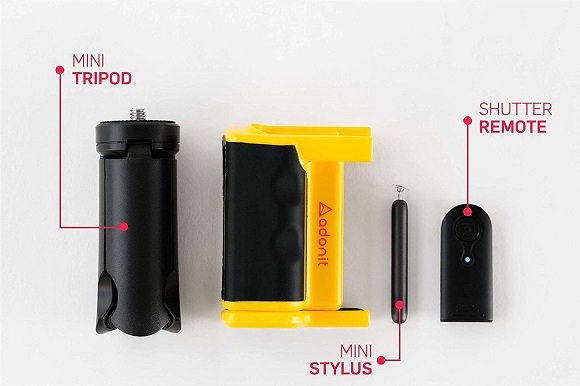 The company now comes forward with the UK launch of Photogrip, a means of wrapping a casing around any smartphone so that it can be converted into a mini tripod. It is accompanied by a Bluetooth shutter and (and this is the cool bit) a camera remote (so you can make the shutter close while you sit away from the device) to help create group shots. According to the makers, the Adonit Photogrip allows users can comfortably hold their phone out in front of them with one hand to perfect that selfie with ease thanks to the grooved grip mark, avoiding any accidental slips and resulting cracked screen. 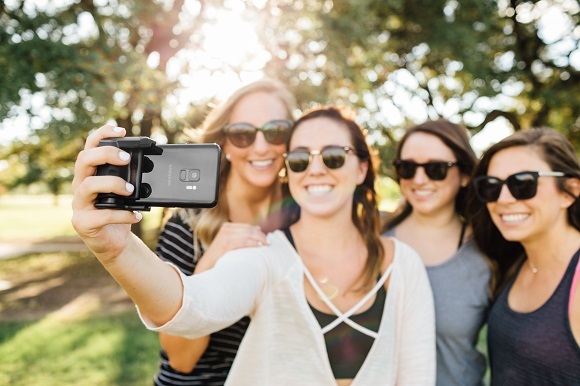 Photogrip can be positioned upright for self-standing portrait mode, allowing users to FaceTime, live stream on Instagram or perhaps and watch videos. 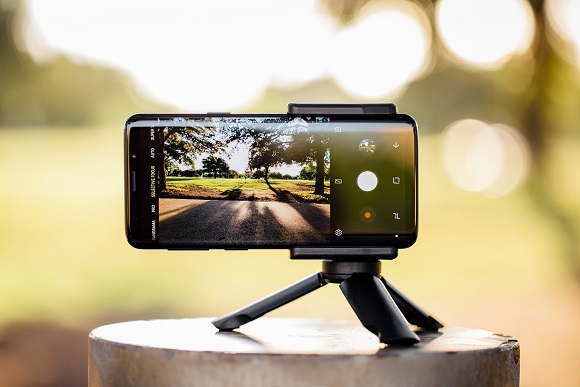 The detachable Bluetooth shutter remote can be used up to 10 metres from the phone whether it be on the Photogrip’s mini tripod or self-standing mode. There is no timer required, so users can just click the remote when they are ready. There’s also a mini precision stylus included to help with photo editing. Jasper Li, CTO for Adonit has said that the Photogrip has multiple uses and is one of the first offering a stand, everyday handgrip for peace of mind as well as the tools to take portrait shots and edit swiftly for ultimate shareability. The Adonit Photogrip is compatible with iOS 5.0 and above and Android v4.3 and above. The Bluetooth connection requires v3.0 and the device will work with any phone from a minimum size of 4.5″. 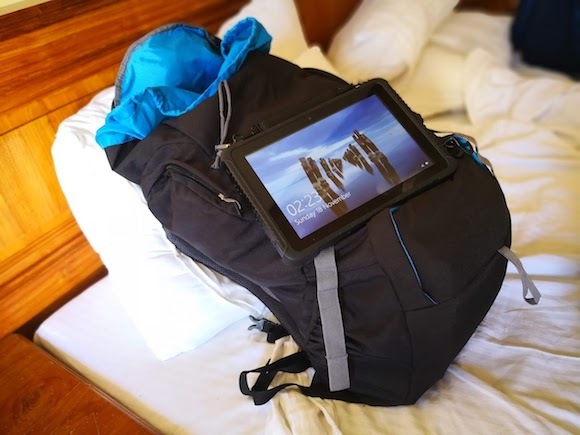 In addition, the Photogrip includes a carry pouch, neck strap and features a charge capacity of up to 20 hours, with the allowance to snap up to 72,000 photos. Okay what did we think of this? Actually, it’s one of those ‘darn, I wish I’d had this ages ago’ type of gadgets… the remote Bluetooth ‘clicker’ being absolutely the coolest thing about it. Perhaps not just for getting group shots, but if you’re the kind of person that likes to climb up a mountain and sit perched with your other half on the edge of some remote escarpment, then how would you be able to get a snap of that kind of thing if nobody else was there? Having spent an entire youth setting ‘auto-shutter’ self-timer and balancing cameras on top of rocks and such like and then running around the front, this is an electronic answer to that problem… and it comes with a tripod… and it comes with a casing unit to stop your phone getting damaged. The product is robust and feels tough, it fits all the Huawei phones we tried it on (several sizes) and it would appear to fit ‘any’ smartphone, although one imagines there must be some that it doesn’t especially if you already have your own casing around your device. You can also use the Adonit Photogrip to prop your smartphone up (portrait style) in self-standing mode on your desk. Say cheese please. I have a usability issue. My Huawei Mate 20 Pro smartphone is great, but I can’t write things on it… and, believe it or not, I am a writer. Last year I attended a conference in Washington DC and saw a Chinese journalist filing copy on her smartphone using a small Bluetooth keyboard. I thought to myself… why aren’t those two devices connected at the hip? I assume you’re getting the picture here. The Gemini PDA by Planet Computers was offered to me for review by a marketing man who said, “Right then, here’s a device that is about to change your life.” Could it really be true? 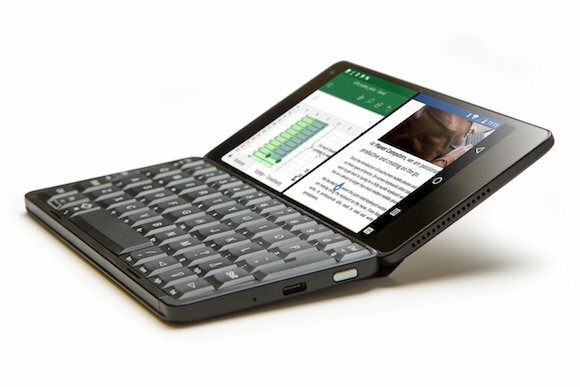 The Gemini (presumably named because it ‘twins’ a full travel keyboard with an Android smartphone) is reminiscent of the Nokia Communicator and Psion Series 5. Those devices didn’t stick around for as long as they might have and the trend for ‘on screen’ keyboards finally even made it to the Blackberry, so go figure. But many of us (writers, journalists, bloggers, businesspeople) need something more than a touchscreen experience that takes up around a third of the display leaving very little screen real estate left inside which to (attempt to) be creative. The Gemini comes as a mobile 4G + WiFi LTE version and a WiFi only version, both featuring a full QWERTY keyboard. 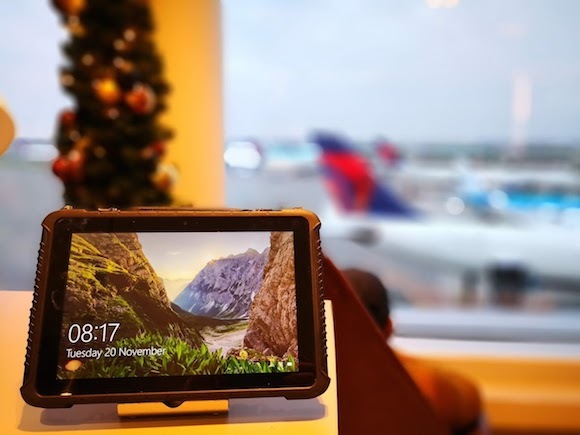 It fits in a back pocket with room to spare, although it probably peaks out the top of your pocket more than a smartphone would — it sports a 5.99″ hi-res screen. When open, the clamshell design also acts as a support for the device. You can just about use it on your knees, but it really needs to be on a hard surface to get the best out of it. According to Planet Computers, the fully tactile keyboard is recognised as the world’s best yet smallest full-sized keyboard for finger touch typing. Touch typing at 50 words per minute is very achievable. Aside from being useful for people who write words for a living, there are a number of additional reasons why this might be a ‘life changing’ device in real terms. Think about technical, medical or other niche staff jobs who need to write down long rarely used words, this has to be easier on a full keyboard than on a smartphone screen with autocorrect constantly trying to change your letters. Also… as of 2019, it is still considered somewhat rude to type notes on smartphones in meetings. This factor is arguably overcome with the Gemini. At this point we should mention, the Gemini is also a smartphone and calls can be received with the clamshell shut and keyboard stowed. There’s no external screen though, so you’ll need to make calls from your ‘desktop’ if that’s how you want to use it. In terms of real world usage (and these notes are written on the Gemini device itself), the typing functionality is really good. 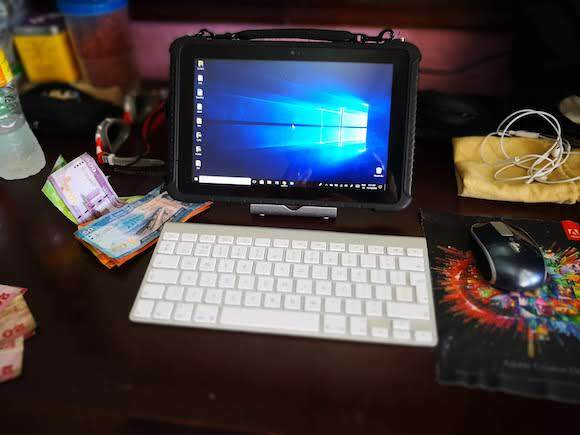 The difference between this unit and a smartphone for someone (like a journalist or any other content creator) is that you `feel’ like you have a screen and keyboard (which of course you actually do) and so it provides the `creative space’ factor that is familiar. You have the option to use the keyboard to cut paragraphs around, shorten and lengthen text… and basically edit in the same way that you would when using a desktop or laptop machine — however proficient you are with a smartphone on-screen keyboard, the difference should be dramatically apparent. The on board Notes app doesn’t always perform at enough speed for editing documents, but that’s fine because Google Docs is free and it works a treat. Some reviews have been less than keen on the browser (Android is most usually used vertically in portrait mode rather than horizontally in landscape as is the case here), but we found the performance fine. The stereo speakers are there, they’re okay, they’re not world beaters, there is a headphone jack. The full stop mark is very close to the dot on the bottom of the question mark key, so if you’re just on the verge of needing glasses then it’s easy not to see it initially — but that’s nitpicking, period. Gemini PDA keyboard layouts are available in English UK, English US — plus also Arabic, Brazilian, Chinese, Czech, Croatian, Finnish, French, German/Austrian, Greek, Hebrew, Hungarian, Icelandic, Italian, Japanese, Korean, Norwegian/Danish, Polish, Portuguese, Russian, Spanish, Swedish, Swiss, Thai and Dvorak… just in case you want to be picky. The device itself is capable of a dual boot into both Debian Linux and Android although we did not try Debian as part of this review. The Gemini is also capable of running the Sailfish mobile operating system (OS) if the mood so takes you. On board you’ll find 4GB of RAM, with 64GB internal storage capacity. Screen resolution is 2160×1080, 403 ppi — and there’s Bluetooth v 4.1, two USB 3 slots, a SIM slot, a micro SD card slot and the whole thing weighs in at 308 grams running on a Quad Core ARM Mali T880 MP4 CPU @ 875MHz. Also included is an accelerometer, light sensor, gyroscope, magnetic-sensor and a dedicated voice assistant button. The device has a two-week stand-by battery life and around 10-hours standard use battery life. The crucial matter is price then. The 4G version comes in at £599 and the WiFi only version is £499. So then, was it a life changing experience after all? The short answer is, yes, so far. The litmus test being that half of this review was written on the device itself sat on a plane from Gatwick to Fuerteventura. The other litmus test (for me personally anyway) is whether I would place it on my desk next to my main machine and use it to (for example) answer email while working on a full size machine — and yes, that works well. Although MyMail works (for me at least) better than any version of Gmail itself. The other litmus test is whether I would take the device with me as a standalone machine to work on and again the answer is yes, very much more so than a smartphone, where editing work is simply not really an option. The Gemini PDA is just about a fully functioning mini computer small enough to fit in your pocket — and it’s a thing of beauty. Planet Computers’ next enhanced version of the device tested here will be The Cosmo and more information is linked here. Whether you can pronounce the company’s name or not, it’s for sure that Huawei (say: wah-way) has become a significant presence in the smartphone market today. Now with corporate ambitions to become known for its cloud business and wider development of Artificial Intelligence (AI) at the chipset and software level, the firm has one of those stands at Mobile World Congress that you can’t just walk onto without a meeting booked. This is a smartphones + ecosystem play, for sure. The latest ‘shiny shiny’ from the Chinese telecoms giant is the Mate P20 series, a device group that now ranks as the firm’s flagship — please note that this overview focuses on the Mate20 Pro. “This is not a smartphone, this is a smart AI-enabled computer,” ran the big production video intro to the launch of the P10 Pro, this line’s predecessor — a presentation we saw played out in a strange underground bunker of a conference centre in Munich last autumn. A good dose of the same ‘it’s more than just a phone’ rhetoric is slapped across much of the Huawei Mate20 series messaging and, in fairness, the device’s camera probably outstrips the ageing Nikon in your drawer that you’re not really using any more… and it’s ability to hook up to a full monitor and effectively be used as a PC is also good. This year’s Mate20 event was staged in London’s ‘glittering’ big E, little x, big C, little e, big L ExCeL centre, presumably because it’s roomy… and everybody loves a ride on London’s DLR Docklands Light Railway, right? If you’re one of those specifications (specs) list fans, you’ll want to know that the Mate20 Pro is 7.8mm thick (or thin) and weighs in at 180 grams with a 2244×1080 RGBW resolution screen creating what is an 82 percent screen-to-body ratio. The display is actually curved at both edges with higher colour saturation than delivered in any of the firm’s previous devices. In terms of engine room power, the Mate20 Pro ships with Huawei’s own Kirin 970 octa-core chipset processor with 6GB of RAM and 128GB of storage — as a whole, the Mate20 series are available in in 6.53-inch, 6.39-inch and 7.2-inch sizes. The SoC at the core of smartphones has a determining factor in a device’s performance and efficiency. Manufactured with 7nm technology process, the SoC fits 6.9 billion transistors within a die the size of a fingernail. The device has what Yu called a ‘four point design’ in its rear Leica camera lens sent up. This is a wide angle lens, plus an ultra wide angle lens and a telephoto lens… all of which are served by a larger light sensor which allows the camera to perform in very low light conditions without flash. 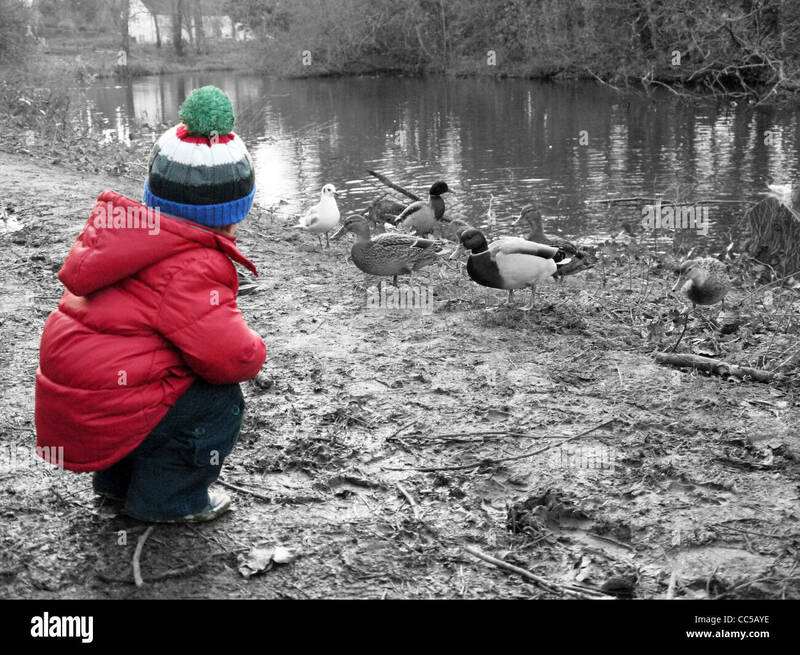 We can also note that in camera functionality, slow-motion video is also included for the first time… and, perhaps most fun of all, the camera’s so-called ‘Hollywood-style’ effect allows you to take a video with a foreground subject in colour and the background in black and white — examples (not taken using this device, but just for explanation) are shown here and here. “The Mate 20 Series can isolate human subjects and desaturate the colours around them to dramatically highlight the person,” reads the official line. The much loved Bokeh effect has also been extended and can now be made to produce a soft focus background that is now whooshed with a swirl effect rather than just a soft blurred focus. Huawei has upgraded the water and dust proofing of this device. It has also used what it calls a ‘hyper optical pattern’ on the glass etching of the screen — and this is supposed to reduce the amount of fingerprints that the user will leave after uses. CPU, GPU and NPU (neural processing unit) power all upped in terms of performance and power efficiency. All of which are meant to produce a more ‘responsive feel’ for the user. The Huawei Mate 20 Pro houses a large, high-density 4200mAh battery — and supports 40W Huawei SuperCharge, which gives a [dead] device 70 percent charge in 30 minutes. The safety of the technology is certified by TÜV Rheinland. The company says that the Mate 20 Series comes with EMUI 9.0, a smart operating system based on Android P. Through AI self-learning algorithms, an integrated and granular resource allocation system, and a highly optimised Android environment, EMUI 9 delivers an ‘evergreen’ experience. This device also heralds the first options for wireless charging via a 15 W connection, which also allows you to charge other wireless charge devices and so share a portion of the power that the device has on board. There’s a lot to like here — but then, there’s a lot (of apps and extended functions) here in general. Naysayers might suggest that a) some of the apps are extraneous to most users’ needs and so, for some, will be considered bloatware and that b) with so many functionality enhancements being shipped that Huawei is almost testing out emerging use case functions live upon its users. Did you need 3D modelling calorie counting calculation functions to take photos of food and have the ingredients recognised by AI-powered analytics in order to tell you how many calories there are in your meal? Well you’re getting it. “It’s all very convenient, we aim to make your life easier,” repeats Huawei’s Yu throughout his high-energy presentations. The good news (for those worried about digital dependency) is this product is built as one of the first phones to ship with Android 9 Pie… which does actually come with ‘digital wellbeing’ features that have been developed by Google, because it’s important to know what device functions do actually make your life better and also help users to know when to switch off. More product info is available on the Huawei website pages for this product. Picture the scene… London, summer 2018, it’s hot, so hot that British people have been able to take showers straight off the cold tap in their homes. Day after day of 30+ degree Celsius heat has taken its toll on a public who quite frankly have had enough of barbeques and would like a nice hot bowl of soup and some rain to complain about thank you very much. Like many of us, I have been working with my windows open in an attempt to cool down. Now then, for most people, this technique works just fine. 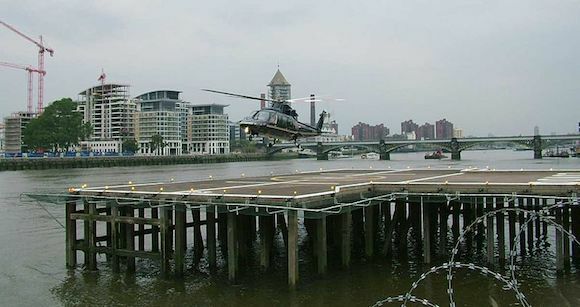 But if you, like me, live close to Battersea’s London Heliport, then it can be quite noisy when the various dignitaries and glitterati decide to land or take off. London Heliport is arguably somewhat lax when it comes to stipulating exactly how close pilots are allowed to come to the buildings around the Battersea towpath. Some pilots take a considerate outward loop well away from residents homes and make their approach and exit well out into the river. Others though, presumably looking to either save fuel or provide a more thrilling ride for their passengers, skirt the edge of the buildings along London’s Clove Hitch Quay with a kind of devil-may-care swoop that really puts the wind up those us living just a few feet away. I have personally taken it upon myself to go in and talk to the London Heliport manager (a Mr Simon Hutchins) and explained that some of the choppers come too close. “Oh, it’s due to the wind on the day,” he told me… before offering me a look at the landing ‘apron’, which was all quite exciting if I am honest. So… next tactic: send tweets to @LondonHeliport with images of the helicopters that fly too close? No use: “You are blocked from following @LondonHeliport” was the eventual report that comes back. I’m actually genuinely quite impressed i.e. nobody has ever blocked me on Twitter, so well done London Heliport, at least you’ve set one record. As always with these things, technology provides the answer. 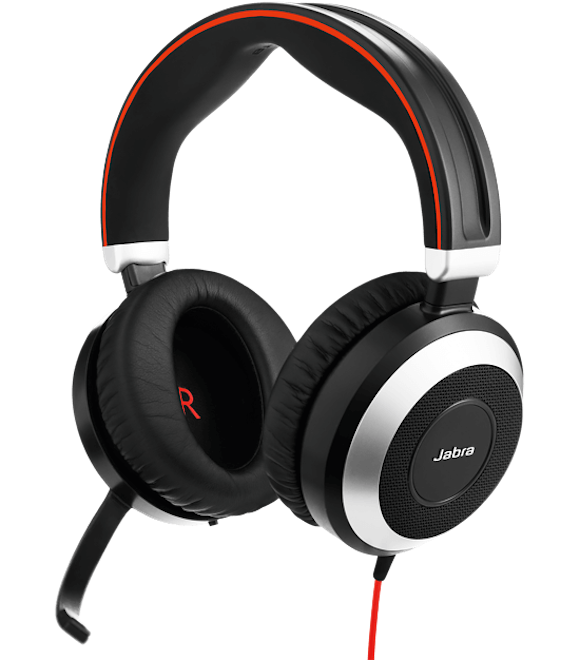 I got myself a set of Jabra Evolve 80 headphones with Active Noise Cancellation (ANC) technology. These ‘cans’ are over the ear (as opposed to ‘on ear’) so they completely cover my poor lug-holes. Once I switch on the ANC function, it drowns out a good proportion of all background noise. Is it enough to drown out a helicopter passing by my window 50 feet away? With ANC switched on and Absolute Classic Rock playing, yes, for the most part. Paradoxically, Active Noise Cancellation (ANC) technology was originally created for airplane pilots to improve their comfort on long flights. Aircraft jet engines create somewhere between 75 to 80 dB of noise inside an aircraft cabin — and most ANC headphones including this Jabra unit generate what is known as ‘destructive interference’ ranges between 20 and 45 dB, so you’re never going to drown out a full helicopter effect really. Plus also, ANC is more efficient against low-frequency sounds. According to a Wikipedia, to prevent higher-frequency noise from reaching the ear, most noise-cancelling headphones depend on soundproofing. “Higher-frequency sound has a shorter wavelength and cancelling this sound would require locating devices to detect and counteract it closer to the listener’s eardrum than is currently technically feasible or would require digital algorithms that would complicate the headphone’s electronics,” notes this post. The fun part, well, for me, is that the Jabra headset I went for has a fancy swivel around microphone for webchats and calls – so I do look amusingly rather like a helicopter pilot sat at my desk writing this up. The moral of this story is, if you live next to a heliport and it’s the hottest summer on record, then you had better get hold of some noise cancellation technology and you had better like 90s ‘grunge’, alternative rock and heavy metal. Every time a robot does something that humans deem to be suspicious, a debate is sparked about when artificially intelligent beings will take over the world. There have been more than enough films about it, ranging from Terminator and iRobot to more recent films such as ExMachina, to name just a small portion, where artificial intelligence (AI) becomes self-aware and revolts against its human creators. So when is this likely to happen in the world of non-fiction? According to Peter Schwartz, senior vice president of strategic planning at Salesforce, it isn’t. Labelling these kinds of proposed eventualities “bad science fiction” Schwartz explained the reason machine learning and AI cannot be made to be more intelligent than humans, or to be self-aware, is because in all of these examples the AI is made by replicating the way the human brain works using technology. The problem with this is that we still as a whole don’t understand how the brain works – and you can’t make a computational model of something that is not wholly understood. So what can we expect instead of a future world resembling the Terminator films? As it happens, technology in films such as Minority Report, which Schwartz worked on, is already coming into play in the mainstream, and this data-driven augmented reality (AR) and AI is something we can expect to see more of. We can expect this to look like a world much like the one we live in now, but where intelligence is “embedded everywhere” including sensors and AI in everything from fridges and chairs, to floors and walls. This sounds far from the doomsday future we have all been expecting, and Schwartz explains the disruption only seems more significant than with other waves of technology adoption because of the pace at which it is happening. But this comes hand-in-hand with issues, including but not limited to, legislation, protecting personal data and ensuring these technologies are developed to add value to people’s lives rather than for technology’s sake. There’s also the matter of “digital dust” created by people every day, and picked up or used by other humans and companies to no benefit of the owner – which has been hard to regulate, and GDPR is only a small step forward. Then there’s the issue of bias, which will end up embedded in algorithms, AI and robotics if we don’t make sure there are diverse teams working on them. If it isn’t killer robots we’re scared of, it’s robots that will replace us in the workplace and render us useless, another unlikely scenario according to Schwartz, who said this fear has been expressed “again and again” with “every single wave of technology, and every time we create more jobs than we destroy” he assured. He used cloud technologies as an example – the cloud is a relatively new technology that is still being adopted, but hundreds if not thousands of people hold roles in it. Roles that did not used to exist. So maybe your worries surrounding automation and AI have abated at least temporarily, because with every wave of technology adoption that has come before now we have kept the robots in check. The smartphone sales results are in: Android continues to bite chunks out of Apple in UK and France, while iPhone X is eating Android in the East. The latest ComTech Smartphone OS Market Share report from Kantar Worldpanel reveals some interesting insights into how Apple and Android handsets are squaring up against each other — and highlights some striking differences across various markets. In the UK, Apple iOS devices accounted for 37.0 per cent of sales in the first three months of 2018, compared with 62.7 per cent for Android. The mysterious 0.3 per cent eschewing the mainstream presumably includes those swept up by the recent Nokia nostalgia drive. Kantar Worldpanel’s trend data suggests Apple’s pie is being eaten into, however. Sales of Android handsets have risen by 5.6 percentage points from the same period last year, while Apple smartphones have lost ground to the tune of 4.2 percentage points. That equates to a 25 per cent gap, compared to 15.9 last year. France is even more polarised, with Android taking up 80.0 per cent of smartphone sales between January and February 2018 – up 4.4 percentage points – while iOS slips by almost three points to 19.5 per cent. 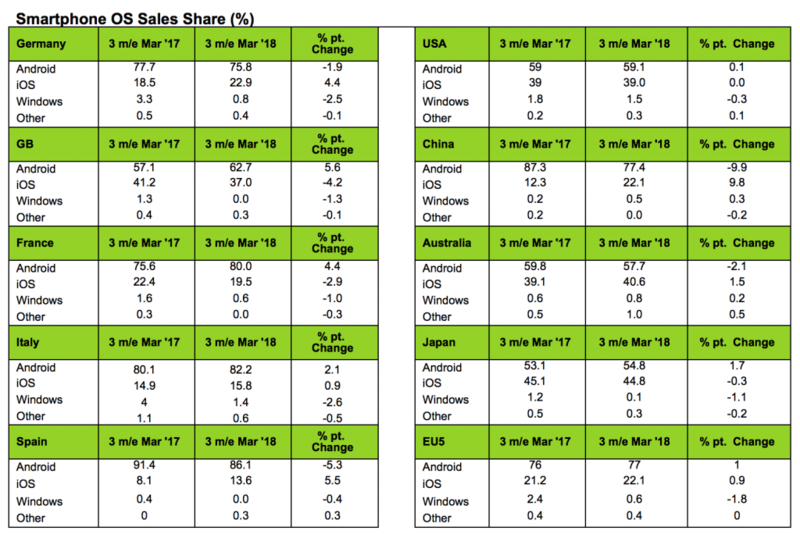 The USA market shows a little more equilibrium, with Android and Apple sharing 59.1 and 39.0 per cent of sales respectively, and no notable change on the same period in 2017. However, China reveals the most substantial swing in sales sentiment, with Android losing 9.9 percentage points in an apparent straight swap with Apple which gains 9.8 percentage points. The Kantar Worldpanel team remarks that the Apple iPhone X release has played a major role here, with the anniversary handset becoming the best-selling smartphone in all of China in the last quarter. Elsewhere, it appears that iPhone X demand peaked shortly after release, with consumers opting for the less-unaffordable iPhone 8 models in the first few months of 2018. Apple quarterly results this week were viewed favourably by many with shares jumping 5 per cent, despite handset sales falling slightly below analysts’ expectations. However, bossman Tim Cook noted a 20 per cent revenue growth in Greater China and Japan. Japan is the market with the most equilibrium in Android and iOS sales, with 54.8 and 44.8 per cent of sales in turn. Apple devices lost ground by 2 percentage points. The data also deep-dives into which devices and manufacturers are taking the share of sales; and while Apple grows in China, it notes how Chinese manufacturers continue to set down roots in the west. “Huawei has managed to significantly increase its presence across the big five European markets, and now holds almost a fifth of sales in the three months to March 2018,” said Dominic Sunnebo, Global Director for Kantar Worldpanel ComTech, reflecting on the growth of the Chinese handset giant, despite having been effectively blocked from sales in the US. Elsewhere in the US, the Google Pixel smartphone range continues to gain ground, chalking up its best-ever quarter of sales as the search/ads/AI firm bakes hardware into its lineup.